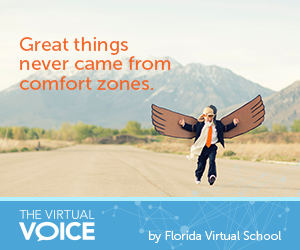 Meet Florida Virtual School student Zac Pullam. 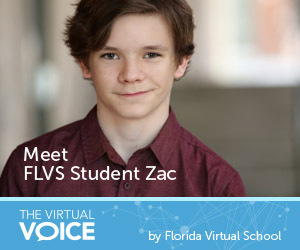 Zac has been with FLVS since the summer of 2014. 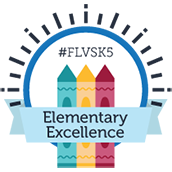 He is a homeschool student, although he takes a pretty full load of classes with FLVS. In January of 2013, Zachary and I (his mom) headed out to Hollywood for him to pursue his dream of becoming an actor – a decision his dad and I made together. We had the support of our community and his teachers, as well as his principal. However, she really struggled with staying focused and was morally disappointed by the various distractions at her public school. She wanted to do more, see more, accomplish more – and she did. 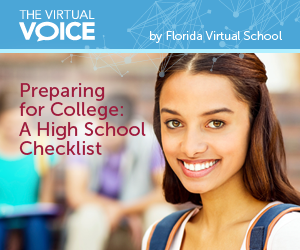 Many students fall into the trap of thinking college is something they need to start considering their senior year. 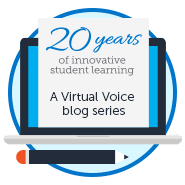 Students who wait until then, however, will be much more than a day late and a dollar short (more like four years too late and thousands of dollars short). Motivation is literally a desire to do things. It is crucial to attaining goals. Motivation is the difference between getting up and doing something or being a couch potato all day. 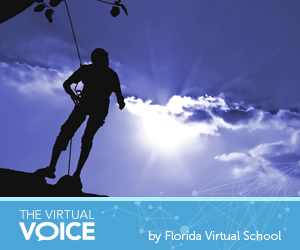 Whether you want to motivate yourself, colleagues, classmates, or children…here are some proven methods to improve your motivation and to motivate those around you. From setting goals to persevering through difficult challenges, these tips will help you accomplish all kinds of great things! 17-year-old journalist Pavlina Osta set a new Guinness World Record for most radio interviews in 24 hours. Here’s how she did it. Throughout elementary school I remember going to the library and checking out American Girl books, but on the way to the check out counter, I’d always pass the open book in the reference center of Guinness World Records. It wasn’t possible for me to even think of myself someday being in the book. I mean, a World Record? Me? Doing what? What could I do better than anyone else in the world? In his book, “David and Goliath: Underdogs, Misfits, and the Art of Battling Giants,” Malcolm Gladwell argues that the people we traditionally considered to be underdogs might actually have unique advantages created by the very adversity they had to overcome. Gladwell uses the allegory of David and Goliath to dramatize how David’s victory may not have been as unlikely or extraordinary as we are led to believe. Perhaps, David relied simply on an unconventional approach and his own audacity to blindside Goliath. His experience as an underdog forced him to view the situation differently and discover a creative solution to his problem. David didn’t view Goliath simply as an indestructible giant. Rather, he saw a slow opponent, dragged down by his armor, and unprepared to battle a swifter, more prepared adversary. I’m not really good at math. Once I understand the general concept, I’m completely fine, but whew…sometimes it takes me a little while to get there. This is definitely an area in my life where I continually have to battle problems and find solutions (literally). At times I find that I really don’t “get” something, so I keep re-reading the same information. Then I go over it again and again. Sometimes I just find that the explanation still doesn’t click with me or with my learning style. At times like these, I find that I essentially have two options: I can keep going over the information in the hopes that it finally clicks, or I can ask for a little help.